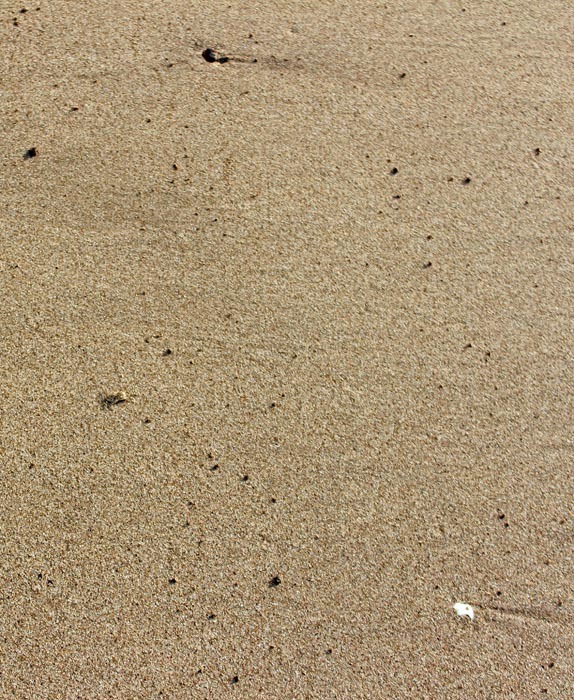 These tiny crabs, almost button sized, can hardly been seen against the grainy gray background of the sand on the beach. The shadows created by the sand match with the shadows on their body. 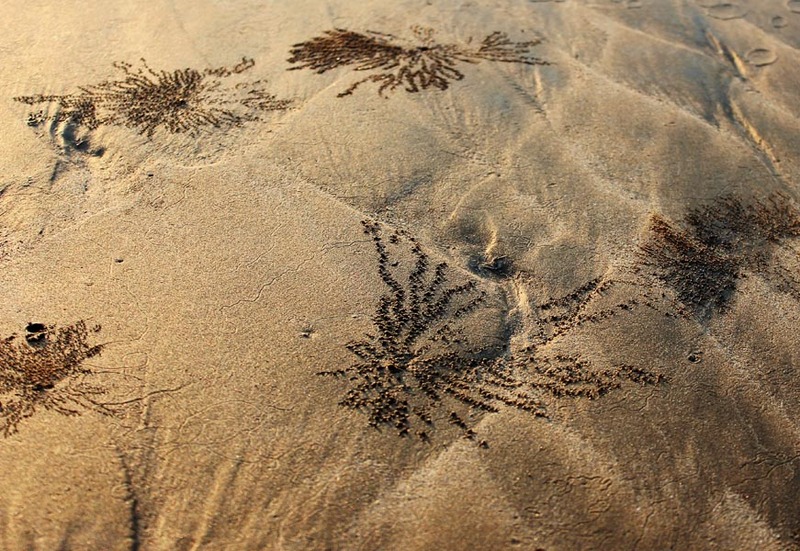 Could these be horned ghost crabs? These type of crabs change colour according to their environment. Here the naked eye will not be able to distinguish the crab which appears to have changed the colour to match the dry sand. 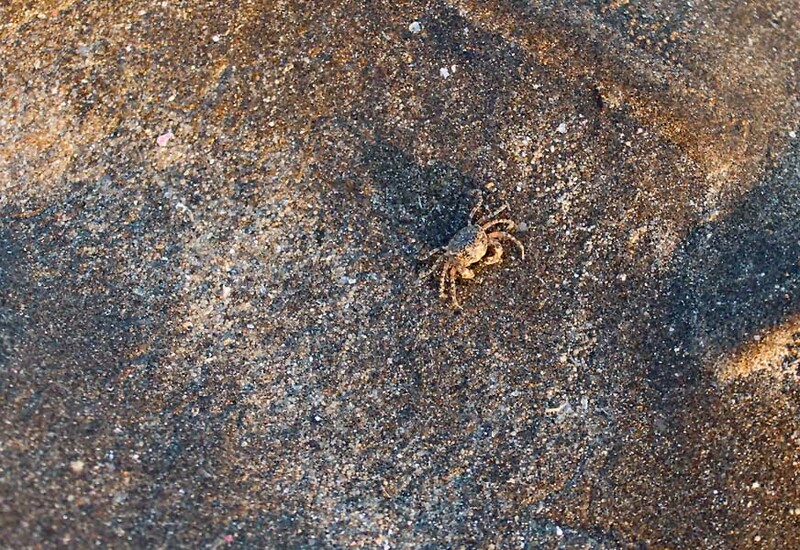 The crab is on the left side of the picture. The crab holes and homes where these tiny crabs live. Space enough for one's pinky or little finger to go through, not bigger than that.